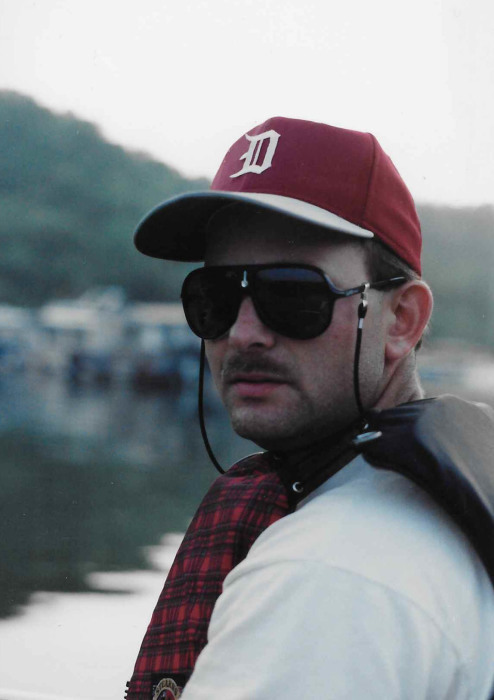 Jeffrey Allison Hall, born January 12,1964, passed away peacefully and surrounded by family on the afternoon of Saturday, February 9, 2019. Jeff was preceded in death by his paternal grandparents, Fannie Williams Hall and Allison C Hall; his maternal grandparents, Edna Denton Jenkins and Heady C Jenkins; his father, James Harlan Hall and his brother, Jerry Harlan Hall. He is survived by wife, Becky; daughters, Sarah, Meg and Emma Kate; mother, Mable Jenkins Hall; siblings, Jim (Cyndi) Hall and Judy (Roger) Eslick; nieces and nephews, Kris (Amber) Hall, Nicole (Troy) Clark, Jennifer (Michael) Cook, Jonathan (Caroline) Allen, and Elliott (Hannah) Carson, and all of their children. Jeff was a loving father, supportive husband, and beloved friend to all who knew him. He was a member of College Hills Church of Christ and the he spent much of his time hunting, fishing, and playing football, baseball, and golf. He loved God, his family, and the TN Vols (in that order). We remember Jeff for his generosity of spirit, his quiet kindness and unshakable faith. He brought laughter and love to everyone he met, and he will be sorely missed. Visitation will be held on Saturday, February 16, 2019 from 11 a.m. until Celebration of Life service at 2 p.m. in the Partlow Funeral Chapel. Interment will follow in the Cedar Grove Cemetery. In lieu of flowers, please send donations to America’s VetDogs, training service animals for veterans.